For this article I’ll be sharing with you what I believe to be some of the best calisthenics aka body weight training programs for men to build muscle mass. We’ll be focusing on these programs: Bar Brothers Workout Vs BarStarzz BTX Program. Along with those training programs, I also decided to answer some of the common question that I see about calisthenics. This will help you determine if this is the type of training your looking for. 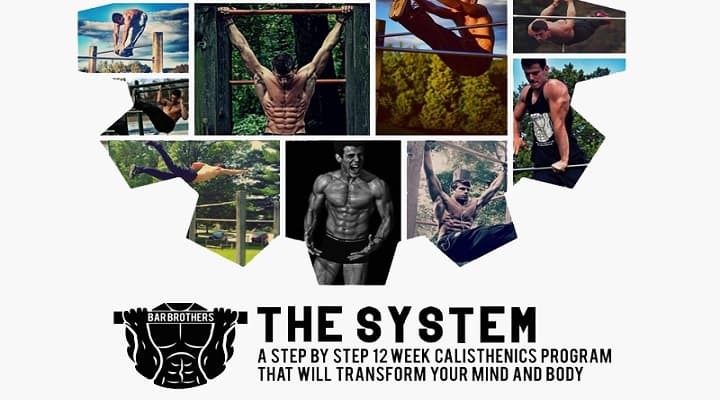 The Bar Brothers workout program is one of the go to programs when it comes to calisthenics. They have put together a great program over there and the best part of it all is that you can see it works by their results they have had. So if you’re trying to not only lean out but also put on some muscle mass then I highly recommend this program. On top of everything else this program is a great knowledge resouce for learning what types of body weight training hits which muscle. You can go check them out here. Another great program is The BarStarzz BTX Program. Some of the best parts about this program is how much you get with it. Here is a look at some of the stuff you’ll get with this program. A long with all of that is how detailed the workouts are and how great the workout layout is on your phone, which makes it easy to follow along rather stop pause scroll up & all that nonsense. Making this look great across all types of devices was a major thumbs up by me. Making this look great across all types of devices was a major thumbs up by me. You can find this program here. When most people think of building muscle, they have a general thought along the lines of bench pressing or doing squats the traditional way which means using weights. Well, I have seen the question come up a few times asking if weights are actually needed to build muscle and I decided to write this article to help answer that question. The short answer is that no, you don’t need weight in the sense you’re thinking of the traditional dumbbells or plates. With that being said you do need to put your muscles under tension, which can be done with just your bodyweight alone. If you have a general idea of what lifts you would do with weights then you just need to find an alternative way to do them using bodyweight alone. As an easy example working your chest muscles out with weights would be the bench press, the bodyweight alternative would be pushups. The downside here is that while some muscles are pretty easy to use your bodyweight for, other muscles such as shoulders and arms can be a little more difficult to target. The flip side here is that there has been a lot of growth in non-traditional muscle building methods that people have come up with all sorts of different exercises to be able to hit pretty much every muscle. Like I mentioned about shoulders and arms being harder to target. An example of some ways to do that would be do something like the methods done in the videos below. I was going to try to explain that by writing it but the more I typed the more confusing it came out so I figured it would be easier for you guys to have a visual how to on it so that you’re doing it correctly. Bigger yes, but getting bodybuilder big is most likely not going to happen. This is because eventually, the muscle you build will need more & more weight to cause those muscles to grow which your body weight alone will be very hard to be able to provide. There can be some workarounds with it by adding in something like a weighted vest as an example, but if you were going to do that then you might as well start bench pressing. Most men aren’t aiming to get huge but rather cut some weight and add a little bit of muscle, which makes this a very suitable option for them. Even thought we briefly touched on a few exercises up above I can’t just leave you with that! To get a full guide on different ones to do then you got a few different options to choose from. There are lots of different workout apps that you can download that give you a how to for doing certain exercises. The great thing about these is that that are either free or usually cost below $5 to get them. If you want a much more guided and visual program to follow then look into something like the fitness programs above. Using programs like this also is great for people who are new to fitness because it takes the guessing out of which exercises you should be doing. Another great option would be to simple search online for body weight exercise programs. There are tons of fitness sites that have these routines posted on their websites that you can get for free. There are some great things about just using your body weight for training. No equipment to buy or a gym membership to pay for. There are plenty more benefits than just these but these are just a few pros off the top of my head. Even though this article lays out body weight training in the sense that you have to pick between it and weight lifting, that isn’t the case. You can rotate between the two or just you can only use weights for certain muscles that you’re having a difficult time working out without weights. I see plenty of people who start off in fitness just with body weight exercises but eventually move to weight lifting once they find themselves not being able to get any bigger. This seems like a good spot to end this article, hopefully, this article helped give some insight on body weight workouts. One more thing to add, make sure you’re getting enough protein intake in to help maximize your overall muscle gains.